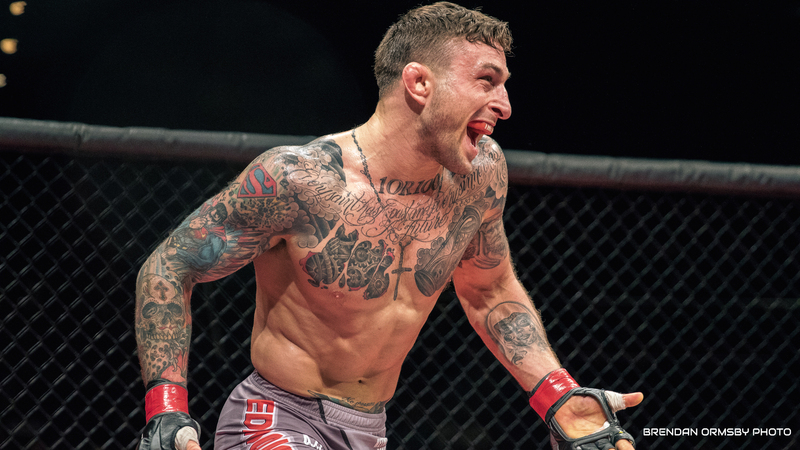 ROC Champion Gregor Gillespie Set To Make UFC Debut | Lou Neglia's Ring of Combat | Next Generation of Mixed Martial Arts! Many fighters have honed their craft in the Ring of Combat cage on their way to the UFC's Octagon. Matt Serra, Frankie Edgar and Chris Weidman went on to have successful careers in the world's biggest promotion and became UFC champions in their respective weight classes. Current UFC lightweight champion, Eddie Alvarez, had his first two fights in Lou Neglia's Ring of Combat. And fighters such as Edson Barboza, Uriah Hall, Al Iaquinta, Chris Wade and many others have made great transitions to the UFC. Out of fifty-five events, Lou's ROC has sent over 100 fighters to the UFC. You can now add current ROC lightweight champion, Gregor "The Gift" Gillespie (7-0), to that list. Gillespie is set to make his UFC debut September 24th at UFC Fight Night 95 in Brazil. Turning pro in January of 2014, Gillespie, blazed a path through all competition racking up seven wins against zero losses. He won the ROC lightweight title in just his fifth fight and successfully defended twice. Now Gregor gets to show the world what the east coast already knows, his tremendous wrestling skills. Gillespie brings some of the best wrestling credentials in all of MMA to the Octagon. In 2007, he won the NCAA Division 1 national title along with other many wrestling titles. Gillespie now turns his sights on UFC rankings where we know he'lll also have a successful career as many Ring of Combat alumni before him. To find out who is next to get the UFC call, check out the official annoucement of ROC 56 as many of the fight line up are on their way to the biggest stage.